Rhode Island Governor Lincoln Chafee has become the latest to sign into state law a bill that prohibits breed specific legislation. The law, HB5671, which goes into effect immediately, prevents RI municipalities from banning certain breeds of dogs. A press release issued by the State House says specific breeds cannot be banned in communities based on erroneous impressions. States that have already prohibited BSL are California, Colorado, Florida, Illinois, Maine, Minnesota, New Jersey, New York, Oklahoma, Pennsylvania, Texas, Virginia, Washington and Nevada and Connecticut, which just passed laws in May and June, respectively. If you would like to see an end to BSL in your state, contact local legislators with articulate and factual messages about bully breeds, and encourage your friends and family to do the same. 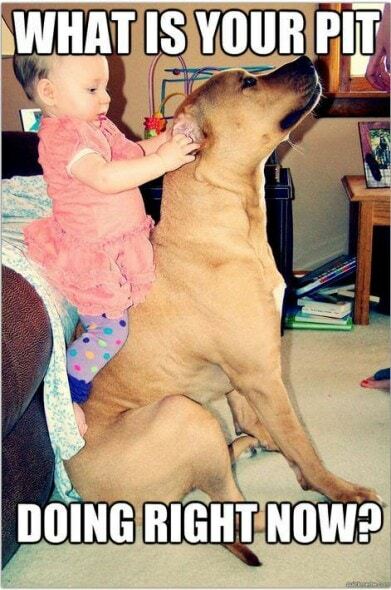 Just great… now more small dogs will get mauled. What an ignorant comment. It’s people like you who got this BSL crap started in the first place. Thousands of innocent dogs have been taken from their homes and murdered because of these idiotic laws. Dogs that have never harmed anyone or anything are being euthanized simply because they resemble a certain breed. Do some research and you will see that banning breeds has not reduced the number of dog attacks. Irresponsible owners should be blamed, not the dogs. As the owner of two Pit Bulls who have never even bitten, much less mauled, anything I can tell you that responsible pet ownership is the key. Of course people like you don’t want to educate yourselves on these dogs. You just want to hate. 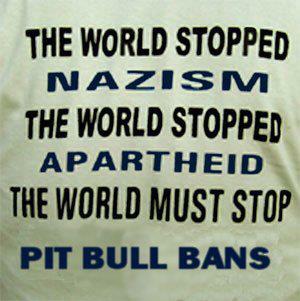 Pit Bulls are danger breed. They must be stopped. Such a contentious and emotionally charged issue, however, laws must but be based on evidence and sound reasoning, and not popular opinion or emotion. BSL is no better than racial profiling. I’m happy to see this news. “No specific breed of dog is intrinsically bad or vicious or dangerous. It is the owners or handlers than can make a certain dog vicious, but entire breeds of dogs should not be outlawed based on the way some of them are trained.” – Palangia. “Pit bulls, in fact, can be some of the most loyal and gentle dogs you can have.” – Ciccone. Two very smart individuals indeed! Way to go, Rhode Island! From – a house of 6 dogs & 1 foster Pit! I already maxed a pit who tried to attack my kid, I will mace any others that get within range of me or mine. Could care less what anyone has to say, I will not let my kid be killed or mauled & I won’t let myself be attacked by these dogs, so lift the ban, I will just buy more mace. And it works too. The land shark that ran after my kid was gasping for air instead of ripping my kid’s face off…good! Kids are dead, & these fools are worried about the dog, screw the dog! Sounds like your kid is out of control. Was he intimidating a dog? There’s a lot of stupid idiots who can’t drive properly or train their kids either, much less a dog. It doesn’t give them a right to criticise the dog, or mis-treat it. Sure mace my pitbull and be charged with assault and animal cruelty. Mace the dog for just being any where near you is illegal your self defense case has to prove a threat my security cameras ( I had to install to protect me from people like you) will prove you otherwise.